Thumb Tip tricks are in my opinion some of the strongest effects you can perform, that is, if done correctly! You can perform them up close right under the spectator's nose without detection. THE EFFECT: You show your hands to be completely empty, you take a small red silk and proceed to poke it into your fist. Suddenly you open both hands and the silk has vanished. Showing your hands empty front and back you grab into the air and make a fist. Slowly but surely you remove the silk once more and again show your hands to be empty. Watch and learn an easy way to make a silk vanish and reappear, then learn how to do it! Become an amazing magician own all my tutorial videos on CD HERE. THE SECRET: For this effect you are going to need a Thumb Tip these are extremely inexpensive, you can pick one up with a silk from my magic store HERE. 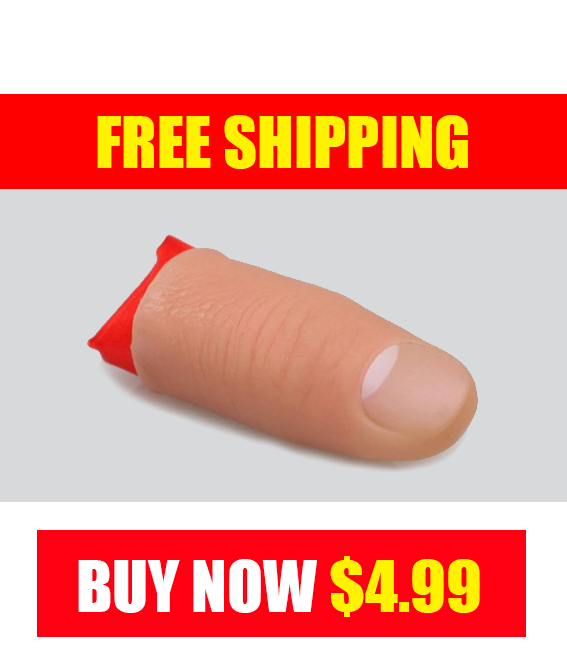 If you do not have a Thumb Tip you NEED one. The scope of a thumb tip is really only limited by your imagination. It is THE best magicians tool. Start off with a small silk or handkerchief, place this over your Thumb Tip on the table. You are now ready to perform. Pick up the silk to show to your audience as you do pick up the thumb tip as well. Do this by inserting your thumb into the tip loosely as you show the silk to the audience. Behind the cover of the silk place the Thumb Tip into your other hand and make a fist. Begin to push the silk into your hand with your finger but also secretly into the thumb tip. With the last poke use your thumb to push the silk in and allow the thumb tip to go over the thumb. As you remove your thumb the thumb tip containing the silk will come too. Leaving your fist completely empty. As you remove your thumb use your fingers of that hand as cover for the Thumb Tip . You can then show your hands completely empty. Hold both your hands palms facing the audience. Make sure the Thumb Tip overlaps the back of your other hand so it is hidden. If you wish to show the back of your hands, again make sure the thumb tip overlaps the palm of the hand in front so it is hidden (pic 1 & 2). To make the silk reappear simply grab into the air and make a fist with your thumb inside, use your fingers and palm to grip the Thumb Tip and quickly remove your thumb from the tip. This leaves the Thumb Tip in your fist again. Reach into your fist (thumb tip) and remove the silk. To hide the Thumb Tip once again place your thumb back into your fist (into the thumb tip) then grip the silk hiding the thumb tip behind it. You can then hand the silk out for examination. TIP: Handle the Thumb Tip naturally and your spectators will not suspect a thing. When placing it on your thumb do this lightly. You do not need to push the Thumb Tip on hard, if you do you will find it difficult to get if off and on again fluently. TIP: Always use the silk to hide the Thumb Tip behind. A good magician can perform Thumb Tip tricks with a blue thumb tip without it being seen. With that said do not worry about matching the Thumb Tip to your exact skin colour. After all your spectators are looking out for a brightly coloured silk not a flesh coloured fake thumb! TIP: Another good move to show your hands empty but without revealing the Thumb Tip is to point your fingers and thumbs to the audience, so they can see into your palms. That way they only see a small fraction of the Thumb Tip (the very top) so it is almost undetectable. Never show the hand with the thumb tip on from the side or the audience will see a large fake thumb waving at them! TIP: Use your Thumb Tip to vanish any small object. Such as salt, dice, coins, matches etc. If you invent any cool Thumb Tip tricks let me know about them HERE. For more thumb tip tricks check out the Balancing Card Trick or the Skittles Prediction trick.